My passionate endeavors in creativity, design and lollygagging. The clock struck midnight on the last day of 2017. I had already been thinking about what resolutions I wanted to make for the new year, once of which was to work on games. My roommate, Michael, and I discussed it excitedly during the days leading up to new years eve, and at dinner on the very day. We enjoyed a couple of beers and some good food over at the Deschutes Brewery in our new home, Portland, OR. We had decided that instead of drinking ourselves silly and having a bad hangover to deal with in the morning (like most previous years), we would do something productive immediately, by Game Jamming that night and the next day. We gathered theme ideas from the bartender, wait staff, our Uber driver and other friends. I wrote them down on pieces of paper and tossed them in a hat when we got home, just a couple of hours shy of the countdown. I shuffled them and gave Michael the honor of the draw. He pulled out the theme we had gotten from the Uber driver. He was jamming out to some sweet, smooth Jazz when he arrived to pick us up, and we had a light-hearted discussion with him about Jazz, music and violins while enjoying his taste in music on the ride home. The theme, we decided from that encounter, was “Jazz”. It was the theme we drew from the hat, so we ran with it excitedly. I painted some concept art while listening to some Jazz almost immediately after the clock struck midnight. We designed a game idea around it the next morning. We decided on a Noir Mystery Adventure game about a private-eye living in the big apple in the year 1920. The plot slowly wrote itself as we discussed it. 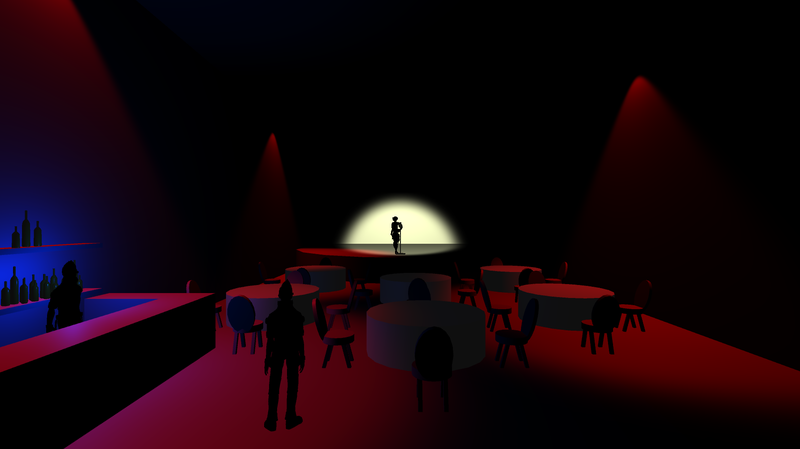 The game would center around the unexplained rampant disappearances of people. 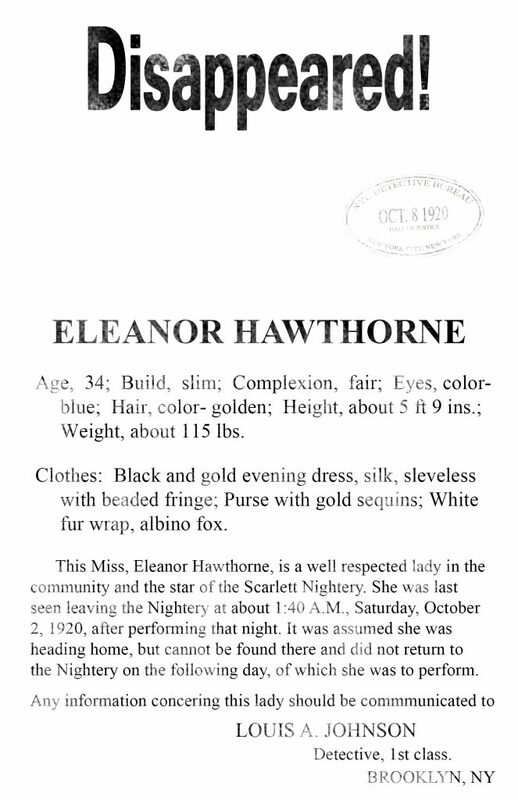 The latest disappearance, a local singer named Eleanor, would be the event that prompts our protagonist’s involvement in the case; at the request of his old partner from the police department. Three weeks later, here I am, still working on the game in almost all of my free time. Michael is writing the music and helping with the design. My good friend Glenn, who is an experienced game programmer is graciously helping through consultation whenever I get stumped on a programming issue..
We’ve talked about the project to quite a few friends and they’re all very excited about it. I’ve shown videos and stills and our friend Jake has play tested the first couple of minutes of the game. It’s turning out really nicely, if I do say so. I’ve finished programming all the main mechanics and we’ve mapped out the narrative and gameplay on paper. All that remains is painstakingly implementing it all in Unity3D (my game engine of choice). I’m giving myself until the end of the month to make a build of the game that I can soft-release online. It’s part of my resolution to make 12 games this year, 1 game every month. The ultimate game jam resolution. I am, however, going to be participating in the 2018 Global Game Jam, like I do every year. So make that 13 games, and I’m taking 48 hours over 3 days of uninterrupted jam time and setting it aside for GGJ. Starting this Friday evening. I’m super excited for that, don’t let my excitement for The Disappearance of Eleanor get in the way of my excitement for GGJ. I’ll get to meet some game developers from Portland, OR’s PIG Squad (which stands for Portland Indie Game Squad) and learn from them this weekend. There’s nothing as valuable as a good learning experience crammed into one weekend of creative juices spilling everywhere as we sprint to make something fun and interesting, by combining our talents and palettes. I think I’ve typed enough. What a blog post; my English professor would be proud. 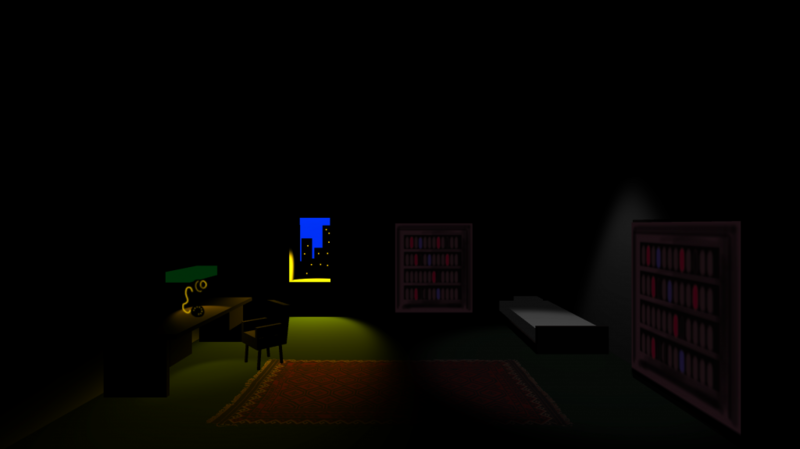 Now for some pictures of the game I’ve been passionately slaving to make for January. The Scarlett Nightery, a speakeasy where Eleanor sings. © 2019 Aimed. All rights reserved.